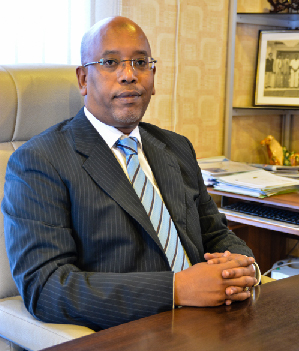 Mr. Youssouf Moussa Dawaleh, the current President of the Djibouti Chamber of Commerce, is one of the leading figures of the Djiboutian business community. In 1988 and after earning a degree in International Business, Mr. Youssouf Moussa Dawaleh began to gain experience in business activities. He then established its first company specialised in the import-export of food products. Then in 1994, attracted by the fish production, he took over the management of the large fish market of Boulaos and started to export fishery products to the countries in the region. Multilingual, he enjoys contact with people and meets many other significant challenges including the establishment of the Dawaleh General Construction company. From 1993 to 2003 he was Associate Member in the General Assembly of the Djibouti Chamber of Commerce (CCD) during the presidency of the late Said Ali Coubèche. At that time, Mr. Youssouf Moussa Dawaleh pleaded the cause of the private sector in the National Assembly as Vice-Chairman of the Standing Committee on Foreign Affairs and then as Chairman of that same committee. Man of action and conviction, Mr. Youssouf Moussa Dawaleh, President of the Consular Institution since December 2013, is to use its best endeavours to further the interests of the private sector and contribute to the country’s economic development through the Djibouti Chamber of Commerce.